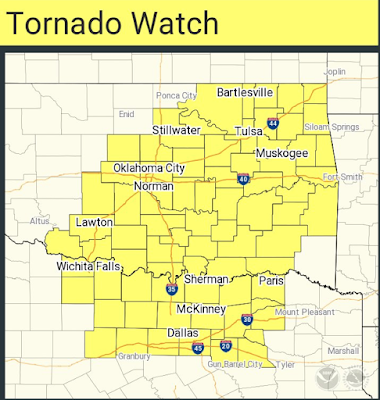 A tornado watch has been issued for much of Oklahoma and most of north Texas, including most of the DFW Metroplex. Please note, this is farther west than earlier forecasts. 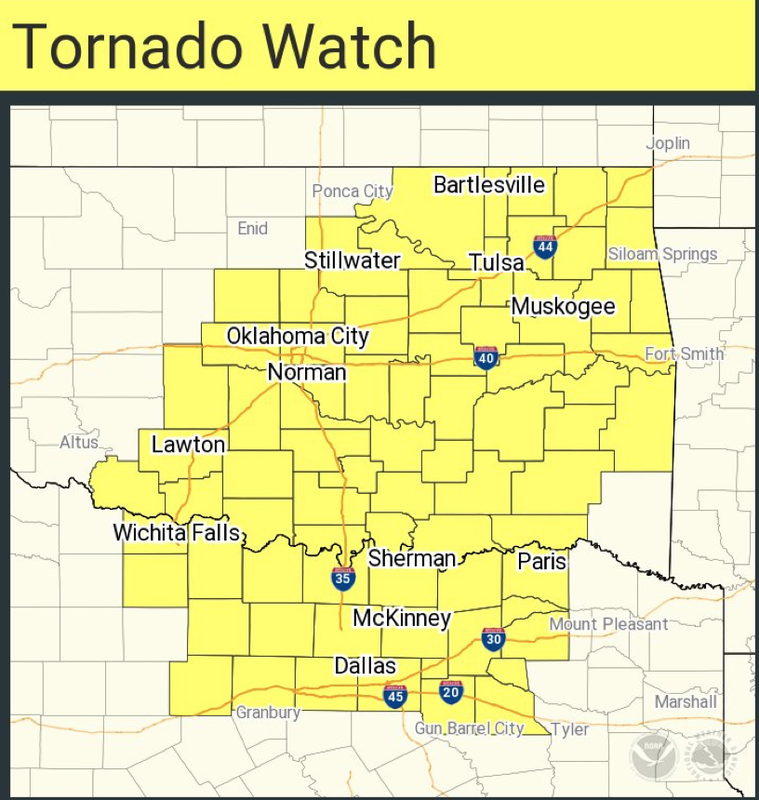 The tornado watch is in effect until midnight. In addition to tornadoes, very large hail is possible. Please make sure your friends and relatives are aware of this risk and have at least two sources for possible warnings.